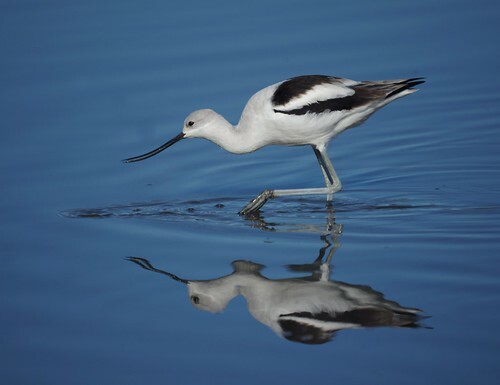 We went to San Jaoquin Wildlife Sanctuary in Irvine. 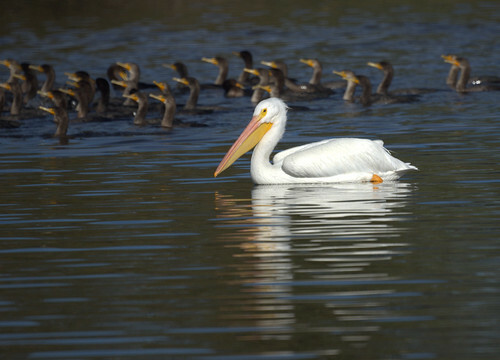 There were about 20 American White Pelicans flying around and resting on one of the ponds, with about 100 cormorants swimming and diving. 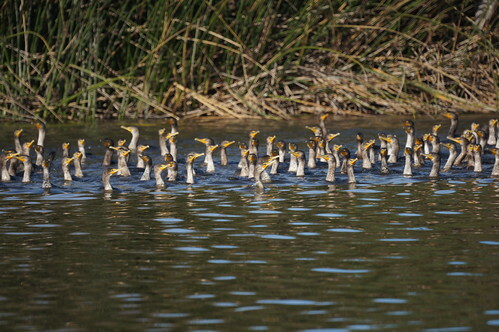 We've never seen that many cormorants swimming together before. 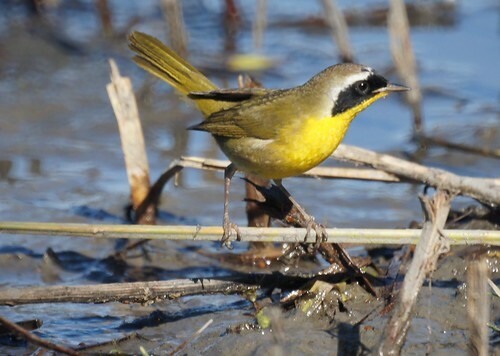 The best photos were the avocet and the common yellowthroat.